Wondering what’s ‘Sup’? Well it’s an incredible application that draws most of the virtues from a successful application, Yo! 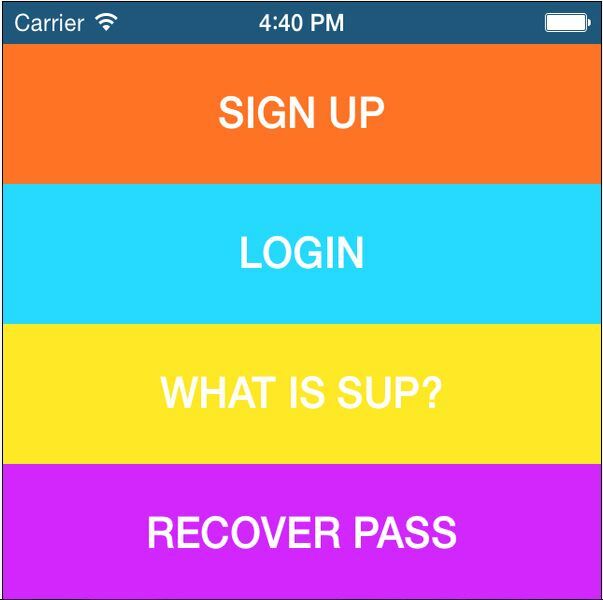 Sup was initially contemplated to send a notification with audio message that announces “Sup” to your friends! Now you can send the links and location as well. This Android application is most suitable for business persuasions to connect and notify multitudes of customers about the product and service updates, just in a button’s click. The application is ingrained with notification and link sharing traits, which makes it a supple technology to instantly connect with others. The calibrated application can be explored in different angles. Here are some plausible approaches that will boost your business technically. The powerful application can win over the buyers by sending the notification of all the products launched. As now you can send the links, the users can see the details of the products from the application. People are looking for events to roll in every day. The admin can also use this app to notify the users about an event; hence, it can also be used as event notification app. As you can also share your location with other users, it can also be used in different delivery business to locate the user’s address. The notification facility can be manifested to buzz the employees for meeting in the work place or with clients. Apart from this, the user can convey others with the reminder to complete the task assign to them. The application enables you to share important links with notification; hence the recipient never misses on urgent and essential information. As mentioned earlier you can send the product description or discounts on the inventions via link. Personally, I use it to ping my friends to convey that I am thinking of them. However, you can use it for a greater intention that suits your business model and enhances the point of contact with the basic customers and clients.